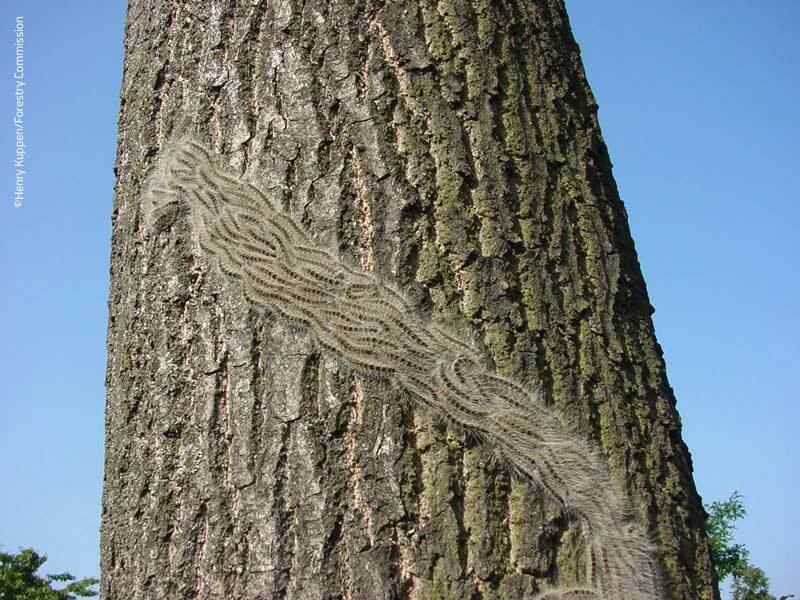 Arborists in south-east England are being reminded to protect themselves this spring and summer from contact with oak processionary moth caterpillar hairs (OPM). They are also encouraged to help control the pest by reporting sightings to the Forestry Commission, and to take care not to spread the pest when removing oak material from tree surgery sites. As well as damaging oak trees by feeding on the leaves, the caterpillar can impact human and animal health: contact with its hairs can cause itching skin rashes, eye irritations, sore throats and other health problems. 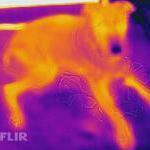 In rare cases they can cause breathing difficulties and allergic reactions. Arborists in the affected areas are therefore strongly advised to wear protective clothing. The hairs can be blown on the wind, left in the caterpillars’ nests on and under oak trees, and can stick to bark, clothing and climbing ropes. The greatest risk period is May to July, although nests should not be approached at any time because the hairs remain active for many months. The known affected areas include much of greater London and parts of Hertfordshire, Buckinghamshire, West Berkshire, Surrey and Essex. The affected areas are organised into ‘Core’, ‘Control’ and ‘Protected’ Zones, and maps and explanations of the regulations and procedures applying in each zone are available in the oak tree owners’ manual at www.forestry.gov.uk/opmmanual. but not among the foliage. ©Forestry Commission/Crown copyright. OPM caterpillars in classic procession. ©Henry Kuppen/Forestry Commission. Andrew Hoppit, OPM programme manager, said arborists are well placed to help control the pest by reporting sightings, but he advised caution. Arborists and tree surgeons who plan to fell or prune trees in the affected areas must contact the Forestry Commission’s Plant Health Service beforehand on plant.health@forestry.gsi.gov.uk or 0300 067 5155 for advice about safe removal of the material. They should also familiarise themselves with the regulations and good practice guidance which apply to handling and disposal of oak material in the affected areas, at www.forestry.gov.uk/opm. A video on the website depicts a number of views of OPM caterpillars and nests which arborists might encounter. Sightings should be reported with the Forestry Commission’s Tree Alert online form available from www.forestry.gov.uk/opm. Anyone who cannot use Tree Alert (which requires a photograph) may email reports to opm@forestry.gsi.gov.uk, or telephone them to 0300 067 4442. Health advice is available from the ‘Insects that bite or sting’ area of the NHS Choices website, www.nhs.uk/livewell. Further information, including identification guidance and maps, is available from www.forestry.gov.uk/opm. AA Technical Officer Paul McBride sits on the OPM Strategic Advisory Group, which met in December 2017. Here is his report on that meeting. 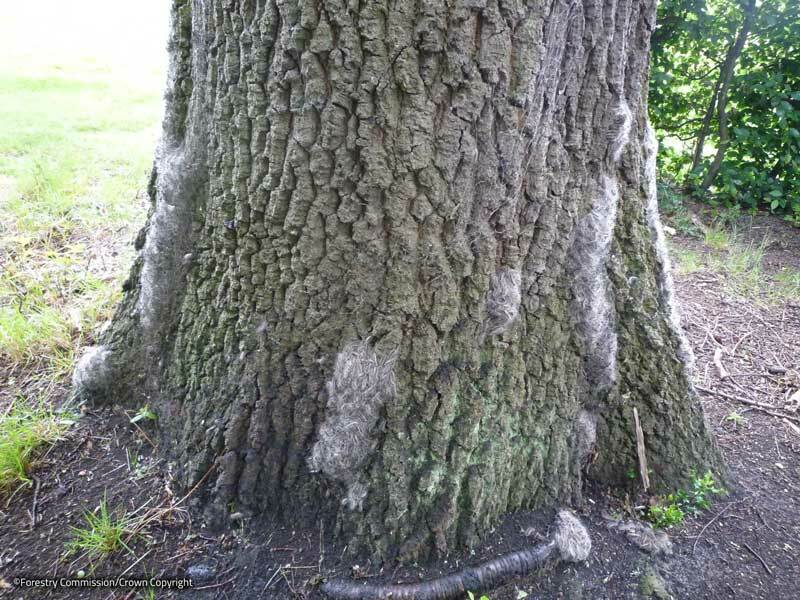 When spotted early enough, isolated oak processionary moth (OPM) outbreaks can be contained, so it is vitally important that arborists and anyone inspecting trees can identify the signs of defoliation, nests and the caterpillar stage. A report can be submitted via www.forestry.gov.uk/treealert and completing the form or emailing opm@forestry.gsi.gov.uk. Tree surveyors should vary the timing and frequency of survey visits on oak trees to coincide with nest formation from early June to August. Any arboricultural contractors regularly operating within an area roughly speaking 12 miles outside of the M25 need to be aware of the risk of exposure to the irritant hairs that the caterpillar stage of OPM produces after emergence in March/April. 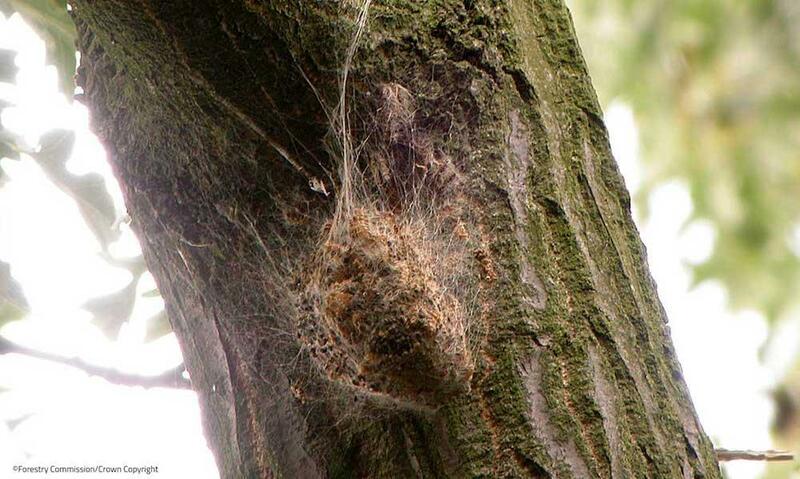 Irritant hairs accumulate in nests from June/July and can remain on the tree for a number of years if undetected. Sometimes the nests disintegrate slowly and sometimes they fall to the floor complete. Hairs could be dispersed up to 200m from the affected tree, so it is not surprising that human health effects will be under-reported as those affected will often not know the association. 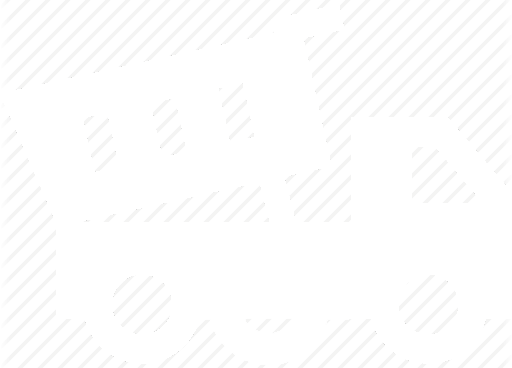 Arboricultural contract managers and site supervisors should not underestimate the risk of repeated exposure. Individuals who regularly work on infected trees can potentially become so sensitised that they may not be able to continue working where OPM is present. Please follow the guidance note produced by the London Tree Officers Association (LTOA): operatives must wear the appropriate level of PPE at all times when they might be exposed – www.ltoa.org.uk. Biosecurity measures that help to prevent spread will need to be robustly implemented where contact occurs. Tree stock managers/owners within the Core Zone should continue to survey and control, but Statutory Plant Health Notices may not be issued. It is anticipated that such work will not generally be funded by Defra and this creates an opportunity for specialised contractors to remove nests. It would be preferred if such contractors could be ‘procurement approved’ by external assessment, so that clients can be reassured that appropriate systems are in place to protect the operatives involved and the public during nest removal operations. As continued spread from the Core Zone has been observed it may have to be accepted that eradication may not be sustainable in the longer term, and attention should turn to managing the exposure risk for human health. Managers should risk assess the potential for interaction and prioritise their resources accordingly. Observations that the caterpillars appear to prefer open-grown trees and woodland edge trees to heavily shaded trees may help to direct surveying priorities where resources are limited and public access levels are known (although any such assumption risks undermining efforts to eradicate). This may shift the emphasis to removing older nests where eradication has been unsuccessful. As the Control Zone is likely to increase radially by 20km for 2018 an increasing number of stakeholders will be affected. The LTOA has been working very hard at coordinating efforts to help limit the spread in and around London, but as the area affected spreads beyond London more people will need to get involved and communicate effectively. This does mean that some nurseries will be affected and controls on the movement of live plant material which could harbour the pest will be put in place when oak plant material is susceptible. As the time between a new report of OPM occurrence and putting in place a suitable response can be short (a few days), challenges remain to effectively control the pest population. Increasing capacity to deliver such controls seems an inevitable requirement. This article has been reproduced from pages 14 and 15 of the Spring 2018 – Issue 180 of the ARB Magazine. It is available to view digitally to our members at The ARB Magazine web page. Been affected once, itching for a week. I can’t see how the spread can be realistically be controlled. We have Pine Processionary Moth here as well, but at least you can see the nests. I haven’t seen any for 4 or 5 years here in Berlin. They were bad for a while. made a pretty penny while it lasted. Sprayed the nest with glue , then pulled it off with a bag over the top. 20 - 30 they must have been small nests ? Bit of a pita. we had 1 or 2 on a tree lower down as well. After climbing Oak trees , If a itch develops try not to scratch. Washing the area with plenty water may help. The scratching lasts about a week.